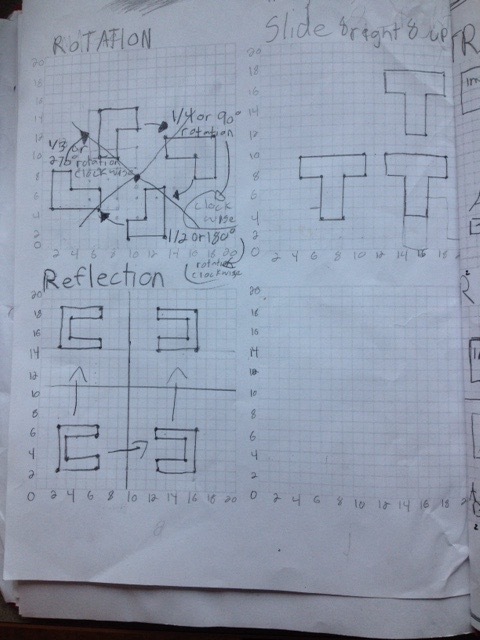 Weeks 24 and 25 Among other math investigations, we continued to explore transformational geometry. We focused on describing how objects are moved using mathematical language. HomeSHARE We have noticed that examples of transformation geometry can be found in everyday life! Parents, have your child describe the types of transformations found below. Can you create your own transformations using everyday objects? Weeks 22 and 23 We had a lot of fun learning about transformations and shared our understanding by creating Minecraft selfies! HomeSHARE Parents, have your child tell you the three types of transformations and demonstrate them using everyday objects at home! Week 21 We have been exploring equivalent fractions, improper fractions and mixed numbers. We find that the clock helps us to understand fractions. This question helped us to consolidate our learning. HomeSHARE- Use the clock to ask your child questions similar to the ones above. Week 20 This week we built towers. The goal was to build the highest one. We used the data to figure out the mean and median. We’ll also graph the data. HomeSHARE– Look for ways to collect data around your house. Can your child identify the mean, median and mode of the data set? Week 18 This week we have discussed the term “equal distribution” and are really digging into discussions about “parts of a whole” and how to represent them. Our understanding that fractions, decimals and percent all represent parts of wholes. A few questions have challenged our math brains! HomeSHARE: Parents, you child has solved these problems using Google Draw in Google Classroom. Before having them share their work with you, can you make reasonable estimates to solve the problems? We had a busy first week back to school after a great Christmas break! We reviewed some of the concepts we studied from September to December. We used our KCups4Classrooms and other familiar objects to help drive our learning. Check out some of the challenges below! HomeSHARE: Have your child share their math thinking (in Google Classroom) with you. Would you have solved the problems the same way or differently? This week, the last week before Christmas Break, we continued with our Snowflake Inquiry and followed with a day long math inquiry! Check out: A Day Long Math Inquiry. Is it Possible? HomeSHARE: Ask your child how long he/she thinks it takes for a snowflake to travel from a cloud to the ground. Have him/her prove it using math! This week students investigated the world of coding! It’s a whole new language and there is so much to be learned from it… including math! HomeSHARE: Check out Hour of Code with your child! 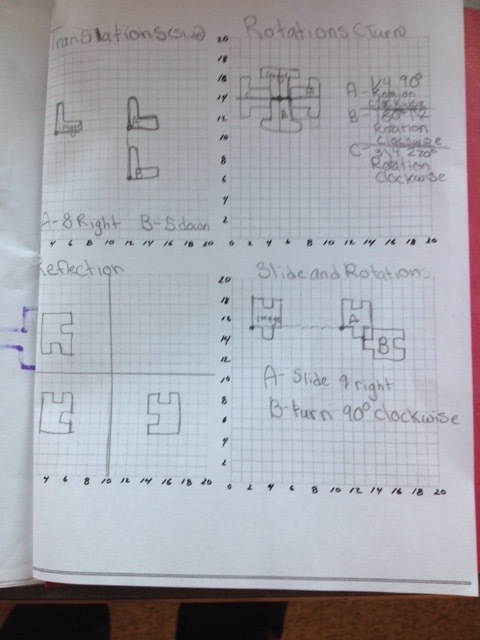 We continued our investigation of area and perimeter this week, this time using cubes. HomeSHARE: Play Party Designer and Zoo Designer with your child to help reinforce how to build quadrilaterals with differing areas and perimeters. Don’t understand? Have your child teach you! After exploring characteristics of quadrilaterals and triangles, Mr. C jumped into teaching about the area and perimeter of both. We are beginning to recognize relationships between quadrilaterals and triangles, specifically when investigating area. We are now starting to build a variety of different quadrilaterals with the same area but different perimeters or the same perimeter but different areas. We have started to investigate, classify, sort and draw geometric shapes by their properties. 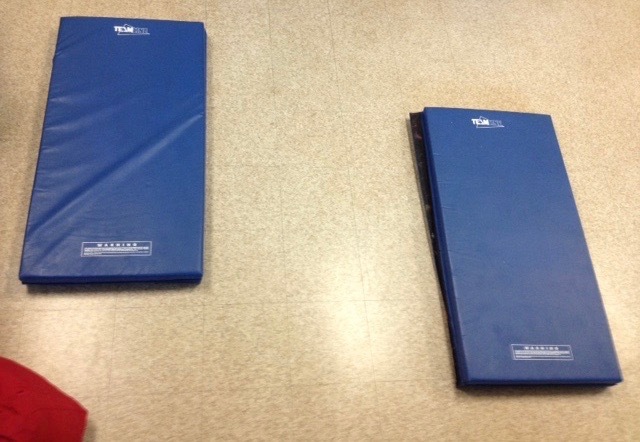 The grade 5’s have been studying a variety of triangles and the grade 6’s are looking at quadrilaterals. HomeSHARE: Parents go on a triangle/quadrilateral hunt with your child around the house. How many different types can you find? Can your child name them? Can your child list a variety of characteristics about each? We have continued to investigate patterns and have recognized them even more within our classroom. We’ve started to use Google Earth to identify patterns in the world around us. HomeSHARE Discuss the patterns below with your child. Use our success criteria to help your child demonstrate his/her understanding of them. Patterns have over taken our classroom! We are finding them everywhere! Students are now using K Cups 4 Classrooms to build and investigate their own patterns. Below is a list of criteria we use when investigating patterns and demonstrating our understanding of them. HomeSHARE: Parents, have your child build a pattern using a common household rule and then discuss it using our criteria. The kids did a great job working to estimate and tally the total number of treats he received. They also used their division skills to calculate the mean number of treats he collected. Students were then tasks to figure out what percentage of his haul was chocolate, chips, candy and other. 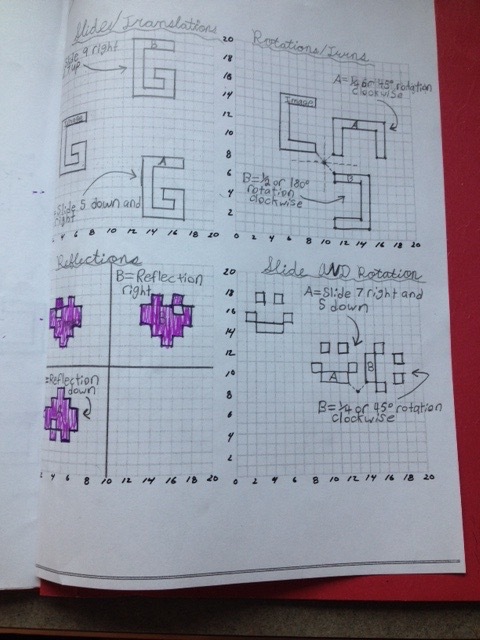 Many students recognized the relationship between fractions and decimals to percent. Great job class! SharesEase: Parents, look for real life math data. Challenge your child to work with it to figure out averages and percentages. HomeSHARE Parents, give your child a multiplication question involving money, similar to the questions above. Grace brought in a RWM division question that she and her mom conquered at home. Her question really got our math brains working. There were so many EUREKA moments as we were working through the question together that Mr. C just HAD to blog about it! Math EUREKA! Please feel free to read and SHARE! HomeSHARE: Parents, give your child another RWM division question, this time insuring there will be a remainder. Can your child explain what the remainder is? Can they use more than one strategy to solve their problem? Have your child show their math thinking using pencil and paper or the computer and email me the problem and their solution or have them bring it to school! HomeSHARE: Parents, give your child a RWM division problem. Have him/her use everyday items (ie pennies) to help figure out the problem. Have your child show their math thinking using pencil and paper or the computer and email me the problem and their solution or have them bring it to school! This week we have been working on reading large numbers with and without decimals. We have practised writing numbers in standard, word and expanded form. We know how to compare numbers as well as add and subtract large numbers with decimals. Mr. C challenged the kids with this #RWM (Real World Math) question. HomeSHARE The following prompt is to be completed tonight! This week we had a lot of fun using our #KCups4Classrooms to collect, organize and analyze “real world” math data. We built 10 “single stack” towers with a total of 20 KCups. Students figured out the mean, median, mode and range of the data collected and also expressed their results as a fraction, decimal and percent. We talked about using a nonstandard unit of measure (number of KCups/tower) and then used the actual measure (4.5cm) to determine the actual height of each tower. This required the multiplication of 0ne and two digit numbers by a decimal number. Finally we graphed our results using a bar graph. (See videos below). HomeSHARE: Find an item at home that you can stack to build a tower. Keep track of the data (build at least 5 towers) and then determine the mean, median, mode and range of the data set! We understood the importance of double checking our calculations, especially when working with a large set of data, In the above question, can you determine which answer is correct and where a mistake was made? We also discussed whether or not a more efficient strategy could be used to figure our the mean of all 3 days. See Catlin’s calculations below. Do they work? This video helps us to understand mean and median: Math Toads: Mean, Median and Mode. ** The range is simply the difference between the highest number and the lowest number in a data set. HomeSHARE: Have your child share his/her calculations for the above questions with you. Are your child’s calculations reasonable? Did they double check their work. 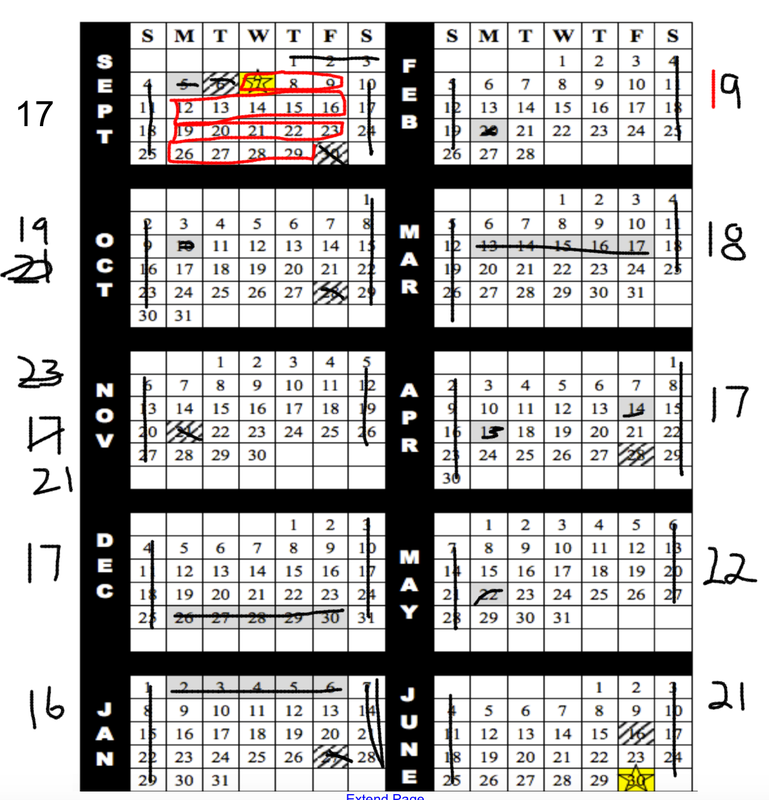 Is the mean and median for ALL days close? Why might this be so? BONUS: After double checking and discussing your child’s calculations, take a picture of their math reasoning and tweet it (@cherandpete) or email it (pcameron@tbcschools.ca) to me! 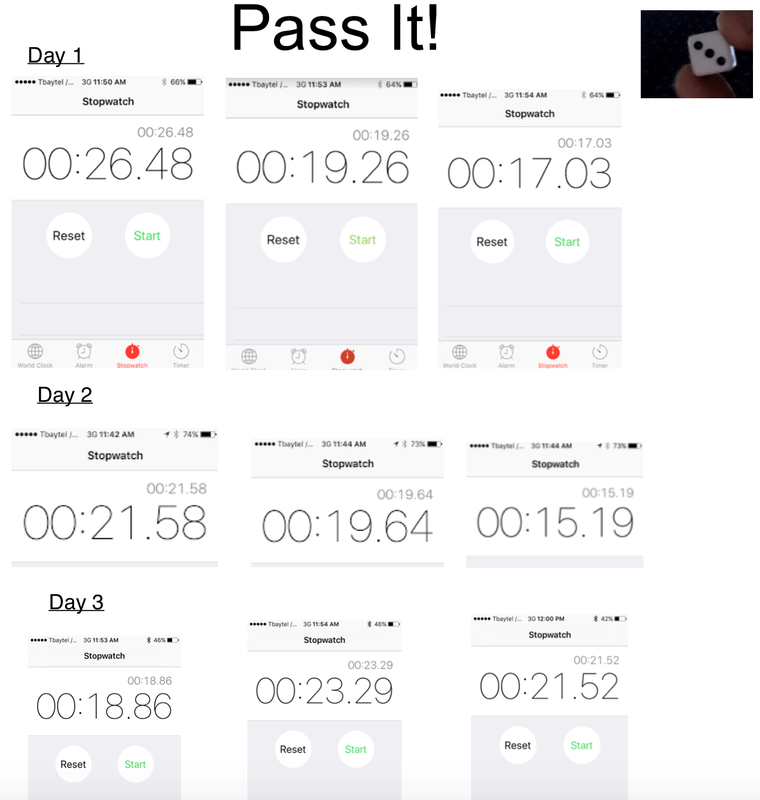 We have been playing a fun team building activity called “Pass It”! 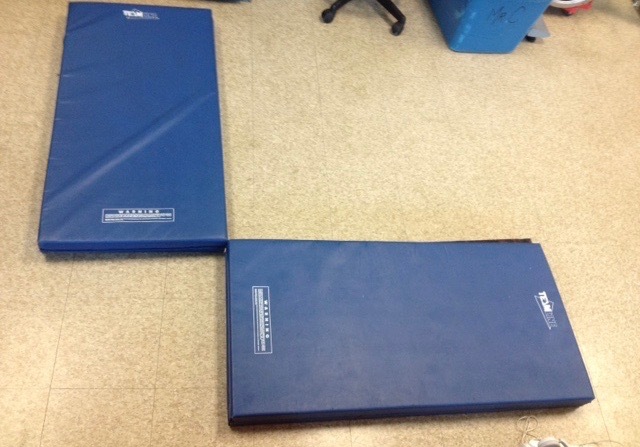 The idea is simple to move an object as quickly as possible around our class circle. We have been experimenting with both small and large dice. 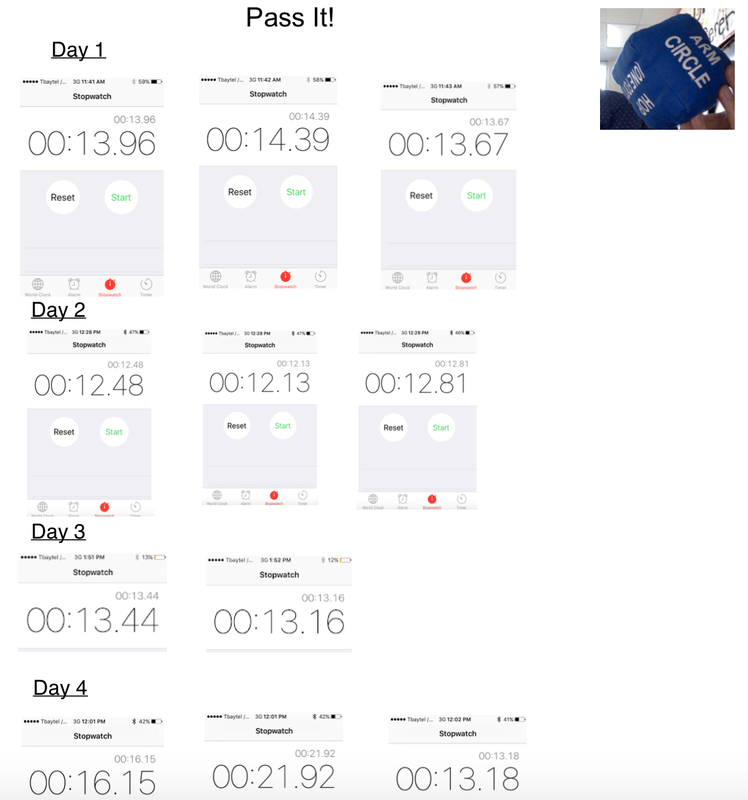 Mr.C has been recording our times each day and we have been working to read the numbers, including the numbers in the decimal place. We’ve also worked to compare the numbers, write the numbers in words and also write them in expanded form. We are looking forward to managing and analyzing the data, finding the mean and median and comparing the two data sets. HomeSHARE Look for examples of numbers with decimals around the house, in the newspaper, internet or on tv. Have your child practise the skills listed above using the new data you collected! To start the year off I challenged the class with the above question which acted as a springboard that allowed them to work with large numbers that had relevancy to them. They also were challenged to decide when to use a number of different operations (particularly addition and multiplication). A great discussion arose when a decimal number came into play and we discussed at length what 1215.5 hours represented. 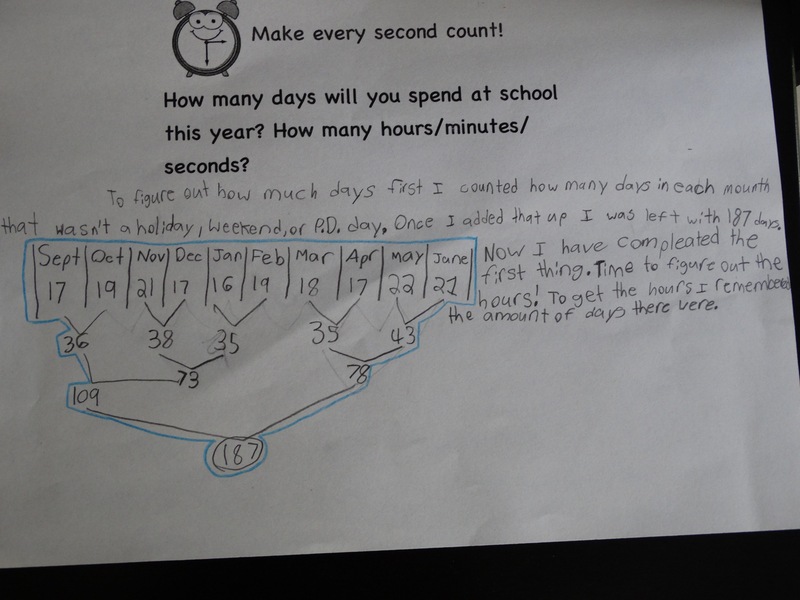 Many students were still fuzzy about the fact that .5=1/2, equals a half hour or 30 minutes. We spent some time trying to understand and read the decimal number. It helped when students read .5 as “five tenths”. I challenged the kids to think of five tenths as a pizza cut into ten pieces. If they ate five pieces they would have eaten half the pizza, thus five tenths is equivalent to one half. This helped us better understand that 1215.5 hours is 1215 hours and a half hour or 1215 hours and 30 minutes. Together we worked to figure out the number of hours spent at school in one day (6.5 hours). 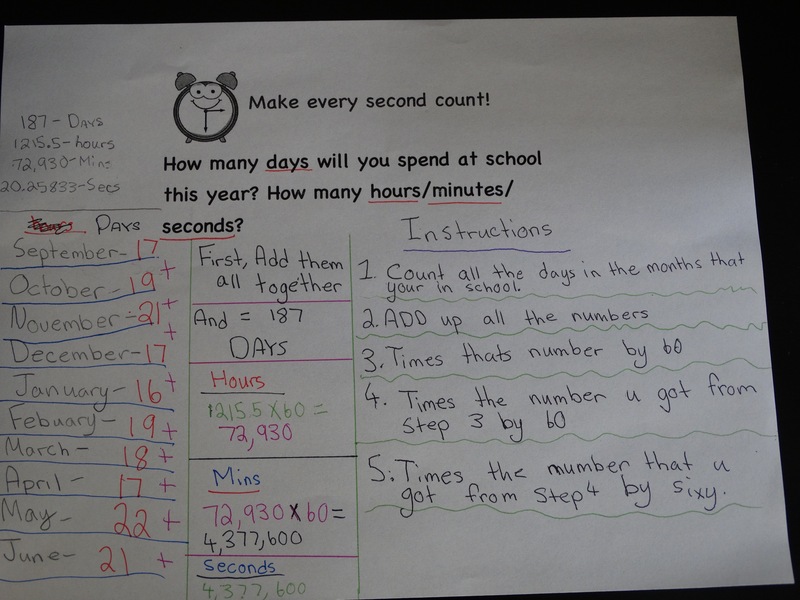 Students used all the information to help them calculate the total hours, minutes and seconds they’ll spend at school this year. I was impressed with the way students organized their work and supported their answers with their calculations and math reasoning. We’ll spend 187 days, 1215.5 hours, 72 930 minutes or 4 733 800 seconds this year! Mr. C tweeted out the question and we are excited to see other classes throughout the world working on our question as well. We are interested to compare the amount of time we spend at school to other classes! Parents, please challenge your children to read each number (the place value chart below will help) and then ask how they plan to make every second count this school year! Mr. Hewett’s Class from Lambton Kent District School Board and Jan Patterson’s class from Gaspe, Quebec shared their students’ answers, calculations and math thinking. Can you compare each of their numbers to ours? Why do you think their is such a great difference in the number of seconds we attend school in a year?